This late (manufacturing of the T2 halted in Germany in 1979) and highly desirable (the best engine and paint combination) time-warp Californian import is a beauty to behold. Recently subject of an extensive and top-quality restoration and finished in what I consider to be one of the finest colour-combinations going (the timeless brilliant orange over pastel white) and re-upholstered in a period, matching brown vinyl upholstery. I am told on good authority that this was a special order model so no doubt the next owner will enjoy making these enquiries and researching their purchase. This Bus is now 35 years of age. I really have to remind myself of this as the condition has to be seen to be believed. 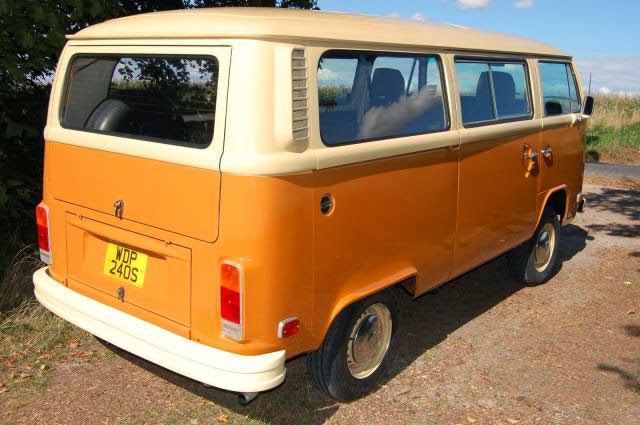 The bodywork is in superb condition and it has just been subject to top-bottom restoration during which time every panel was re-sprayed and rust-proofed and every rubber and seal replaced. All chrome-work was either rejuvenated or replaced and even the windscreen professionally changed for an expensive laminated and tinted replacement. 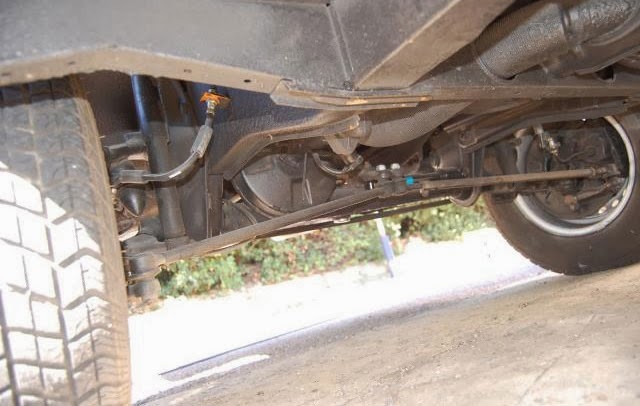 As below, within the last 500 miles/ six months the engine was completely overhauled (new heads, pistons and gaskets), the brakes renewed, the gearbox serviced and the clutch replaced and all belts, filters, oils, points and plugs changed! Just take a look at the photographs and compare what you see to inferior examples up for sale elsewhere and commanding a similar price. 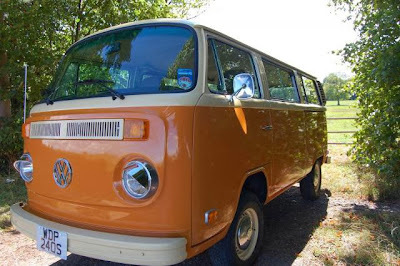 The bodywork is completely free of notable dents, scratches and corrosion (thanks to the dry Californian climate) and is likely to stay that way (with regular cleaning and wax-oiling) thanks to a rust-proofing treatment post-application of paint. The paint has a deep sheen and really does gleam. Continued cleaning will only improve its lustre. 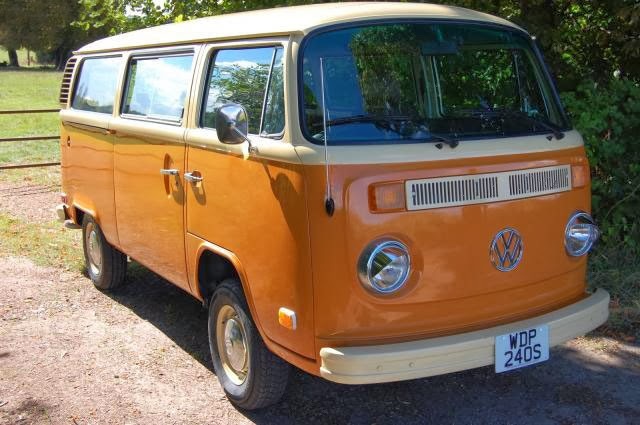 Its paint-scheme suits the contours and character of the bus perfectly and I can’t think of a better colour combination for this year and model type. It is guaranteed to bring an immediate smile to your face. 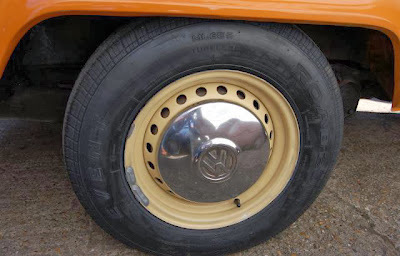 The door-shuts, lower valances and sills are in superb order as are the desirable chrome hubcaps fitted (to steel wheels with three nearly new tyres and one brand new tyre). You really must come and see it. The photographs do not do this old girl justice. It really is an unmolested, beautiful specimen that has been subject to a respectful restoration with originality in mind. Prepare yourself to be seriously impressed. It was love at first sight when I picked her up from the importers last month! 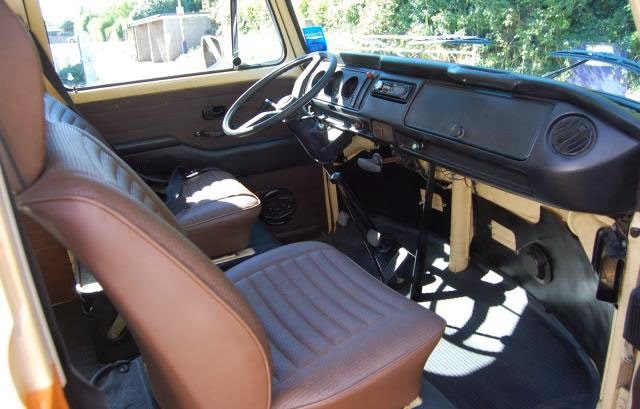 The interior is utterly superb. 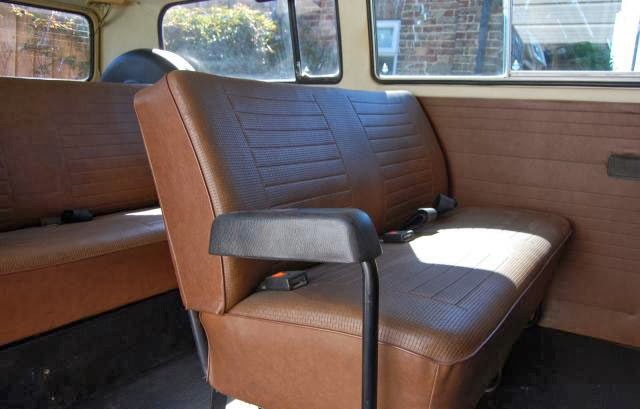 With the exception of the original dashboard and headlining (both of which are in amazing condition for the year), it has been completely overhauled. 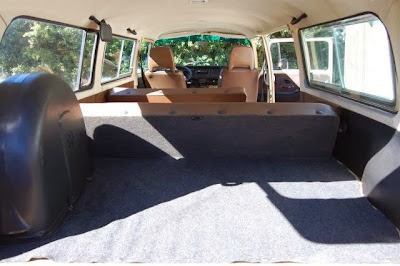 This extends to the seats, flooring, door cards, cargo area and front footwells. The dashboard is completely devoid of sun damage or discolouration and every single dial and gauge works as it should. Examine the photographs carefully or view it before placing a bid. There are of course a few tiny dents and minor imperfections but nothing that stands out or is worthy of mention. As above, the excellent 2.0L power-plant has been completely overhauled. It always starts up without fail; with absolutely no hesitation whatsoever. I will let the photograph of the engine compartment do the talking. 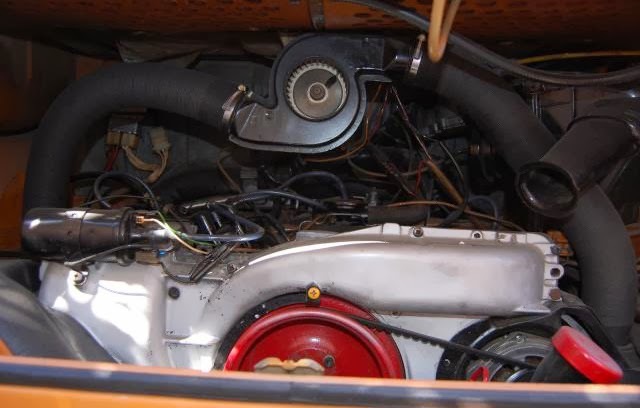 I have driven a great number of Campers and Beetles and this is by far and away the best engine I have come across. Even the ventilation and heating system operates as it should which is a rarity on these old girls!